Baseball is a game of skill and strategy that requires intense amount of practice. 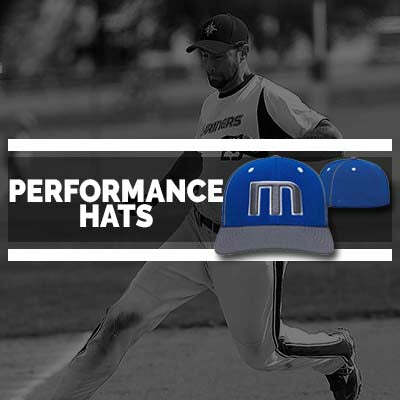 But in order to play for the Big Leagues, you not only need to master the game through training, but also have the right attire to stay comfortable and look stylish during your big game. At Socks Rock, we offer you the widest selection of twin city custom baseball stirrups, helping you find the right one for your team. 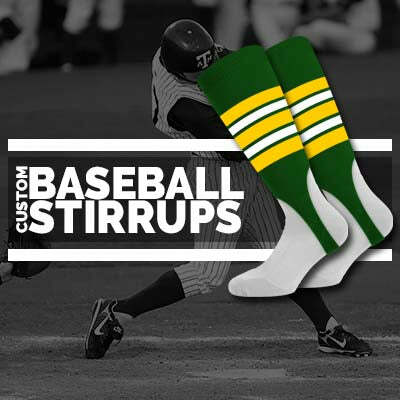 Whether you want to go for one of our standard but stylish stirrups baseball designs or you want to build your own baseball stirrups, Socks Rock provides you with a one-stop-location to shop for the most comfortable baseball socks in unique patterns, styles, and colors. Baseball uniforms are a truly unique sportswear. The shirts have buttons, the pants have belts, and the players are required to wear a soft cap to shade the eyes from the sun. But there’s nothing as distinct as baseball stirrups — a kind of socks that’s unique to baseball. Once invented with the intent of preserving a team’s identity and safe hygiene, custom baseball socks stirrups have a number of applications today. Whether you want to show your support for your favorite team, intimidate the competition, or just want to look stylish and sport, twin city custom baseball stirrups are a great fashion accessory that can be used for a multitude of purposes. At Socks Rock, we offer you this amazing opportunity to get your team’s logo printed on baseball stirrups. Perfect for practice sessions, as well as games and tournaments, our custom baseball socks stirrups have been manufactured using premium-quality, breathable fabric to keep your feet clean and comfortable throughout the game. 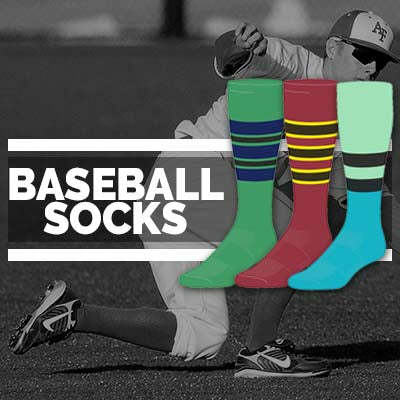 When designing your baseball team logo socks, you can opt for a range of colors and patterns. From solid colored stirrups to embroidered stirrups with stripes and team logo, we offer you a wide range of patterns, colors, and designs to choose from, offering you the flexibility to select the one that best suits your team. 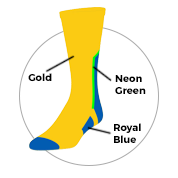 Socks Rock offers you an impressive selection of baseball stirrups in unique designs and colors that will offer you the perfect fit and utmost comfort during a thrilling game. Designed to look stylish and feel comfortable, our twin city custom baseball stirrups wick away moisture to keep your feet dry and cool and offer you a supportive fit for game-day comfort. 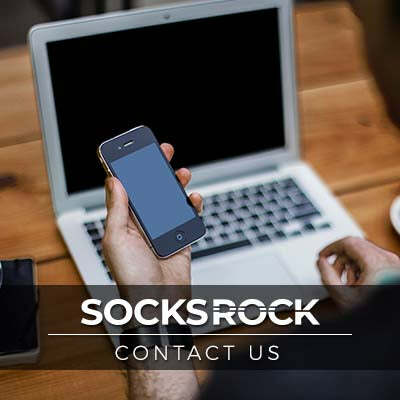 What’s more, the custom baseball socks stirrups offered by Socks Rock have been designed strategically to provide a layer of cushioning at the points that are most vulnerable to impact and injuries. Take your performance to the next level with Socks Rock’s ultra-stylish, super-comfortable baseball stirrups and sanitary socks that will minimize the impact so you can get the power and energy you need through your swing zone. Featuring eye-catching patterns and bold colors, our baseball stirrups are sure to draw the eyes of your spectators and offer you the confidence you need to give your best on the field. And if you’re looking for something truly exclusive, you can always build your own baseball stirrups and prep for your season with custom-designed baseball stirrups. 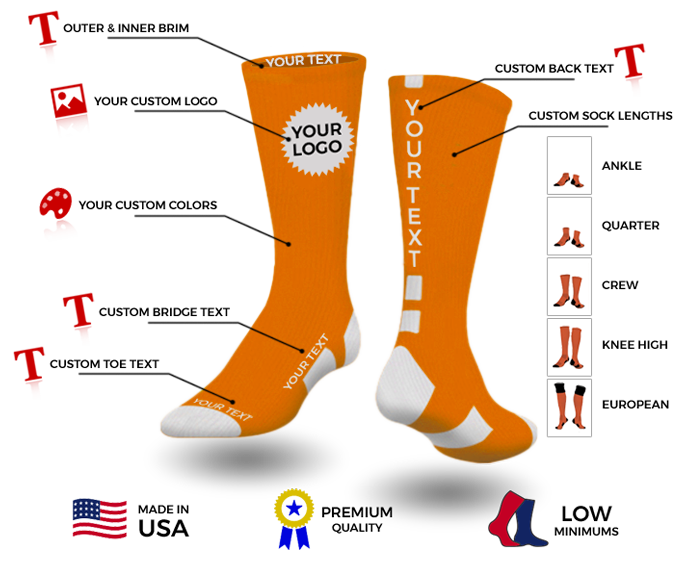 Alternatively, you can use your baseball team logo socks as an innovative promotional tool to build brand awareness and gain support for your team. At Socks Rock, we aim to make it quicker and easier for you to design your own customized baseball stirrups. Therefore, we allow you to choose the colors and patterns that best suit your team’s attire. To cater to everyone’s taste, our baseball stirrups are available in different cut lengths and sizes. Stay on top of your game with our baseball stirrups that offer you the perfect combination of aesthetics and comfort. 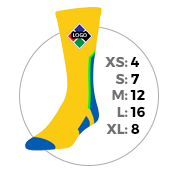 All you need to do is pick a design, choose the colors and size, and we will deliver your baseball team logo socks at your doorstep as efficiently as possible! Baseball Stirrup - Triple Stripe (PATTERN B) SHIPS FAST! Baseball Stirrup - Ranger (PATTERN E) SHIPS FAST!